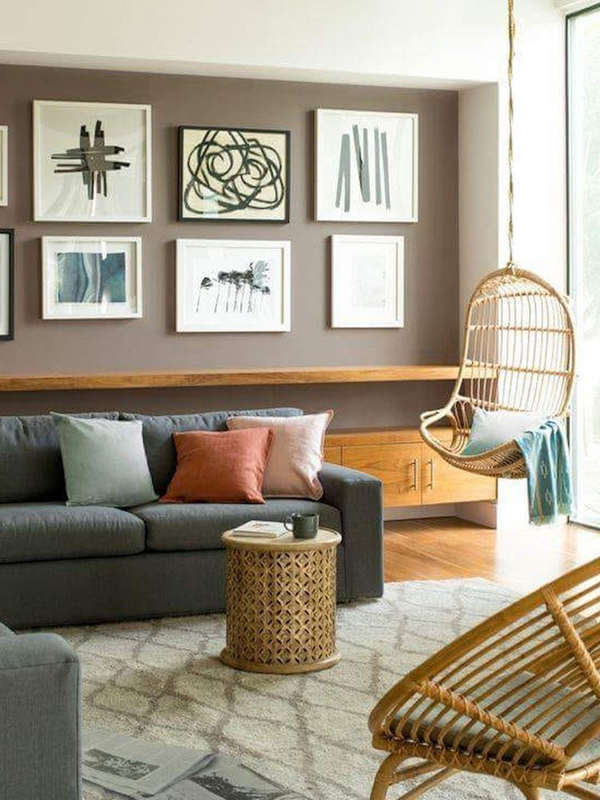 Even though Behr Plum Royale (S110-6) is on the cooler side of the color wheel, its gray undertones project a sense of calm that can make a space feel more intimate and inviting. Plum Royale is more muted than a lilac or a princess-y purple, but it's still bold enough to capture attention without overpowering a room. 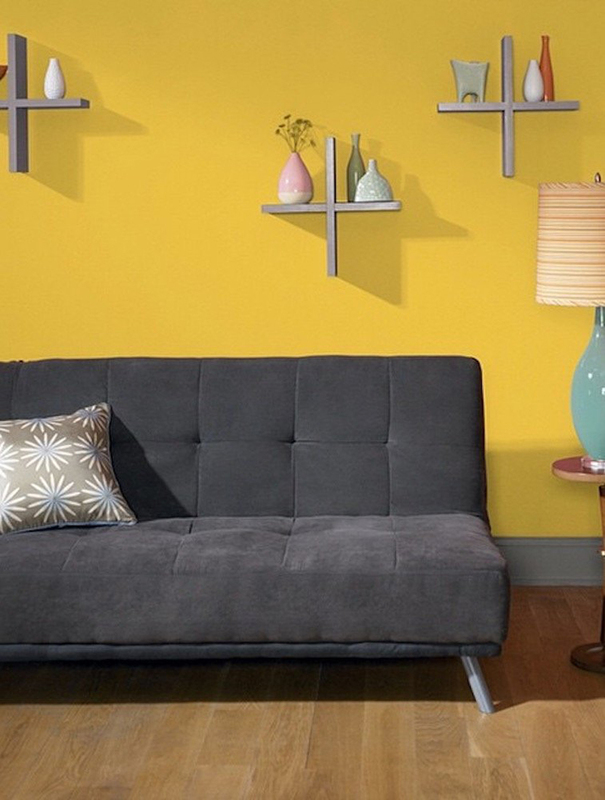 Warm colors like Sherwin-Williams’s Decisive Yellow (SW 6902) foster a friendly and conversational environment. This shade can wake up a small living space that needs a jolt of energy or envelop a large space to give it a cozier feel. A cross between a brown and a greige with slightly purple undertones, Benjamin Moore’s Driftwood (2107-40) is rich and vivid. It's the perfect choice for someone who’s looking for a neutral with a little more flavor. 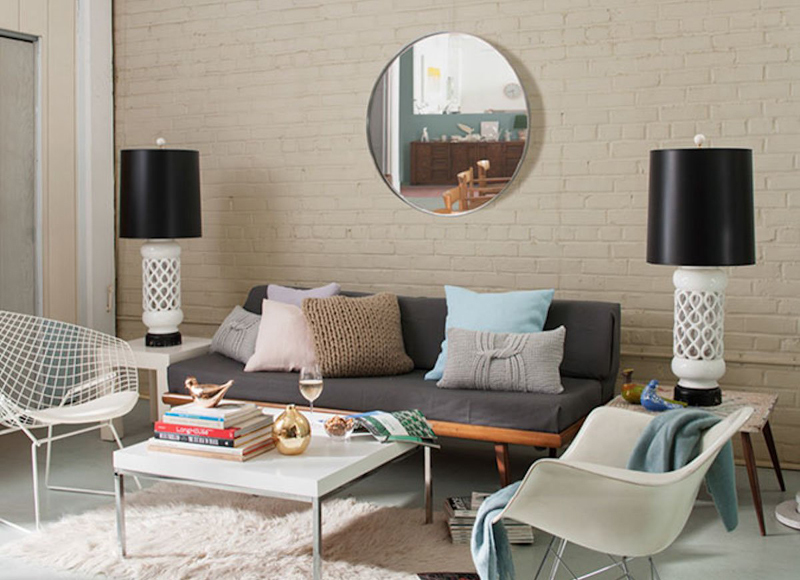 Creamy and calming yet modern and chic, Benjamin Moore’s Clay Beige (OC-11) turns the idea of a neutral on its head. This shade gives a space a tranquil, soothing vibe, but it also blends well with any vibrant pops of color that you want to introduce. 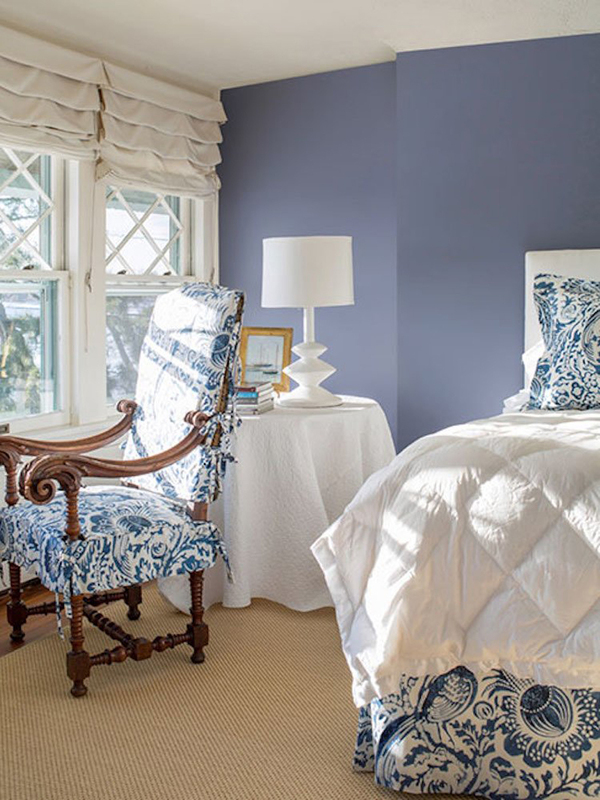 Words like “luxurious” and “grand” best describe deep shades like Benjamin Moore’s Caponata (AF-650). This chocolate-y purple color feels relaxed yet regal, and it works well whether used throughout a room or just as a punchy accent wall. 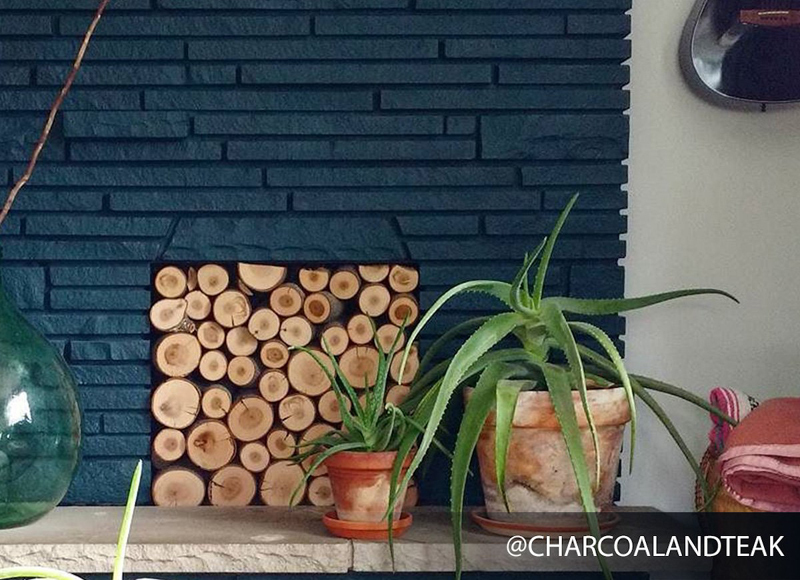 Though blue is a cooler hue, Sherwin-Williams's Silken Peacock (SW 9059) seems almost warm to the touch. This shade would be lovely in a bedroom, because it's soothing enough for sleep but lively enough to wake you up in the morning. 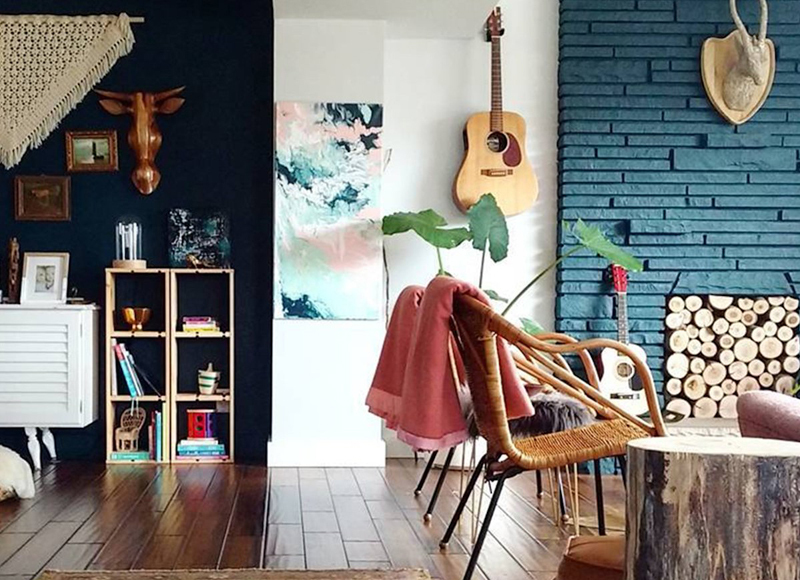 While many people try to avoid deep, dark colors because they’re worried that their rooms will feel cave-like, the right dark shade can actually create a comfortable and sophisticated look. Sherwin-Williams’s Dark Night (SW 6237) is intense but soft, and would undoubtedly do wonders for your sleep cycle. During the winter we do our best to avoid going outside, but our bodies still crave contact with nature. 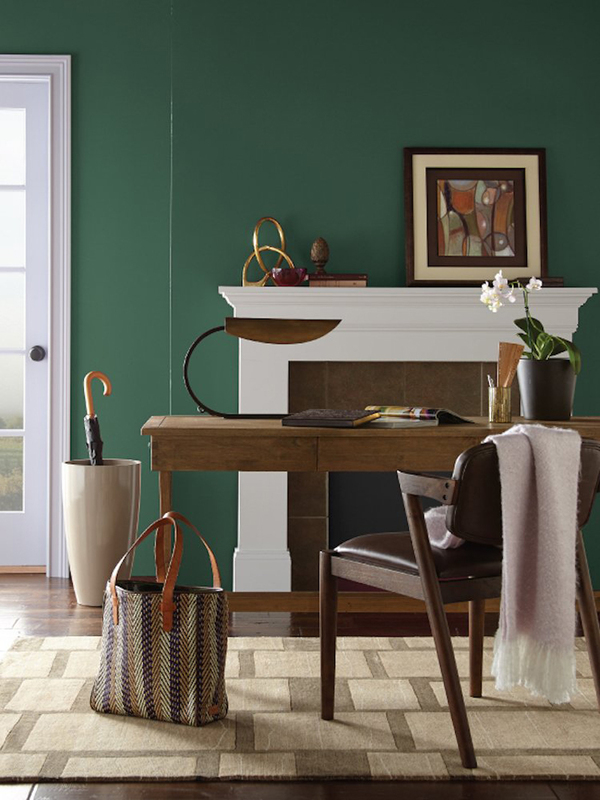 Bring the leafy, earthy greenness of summer inside year-round with Behr’s Vine Leaf (N400-7), which was recently named Behr’s Color of the Month for December. 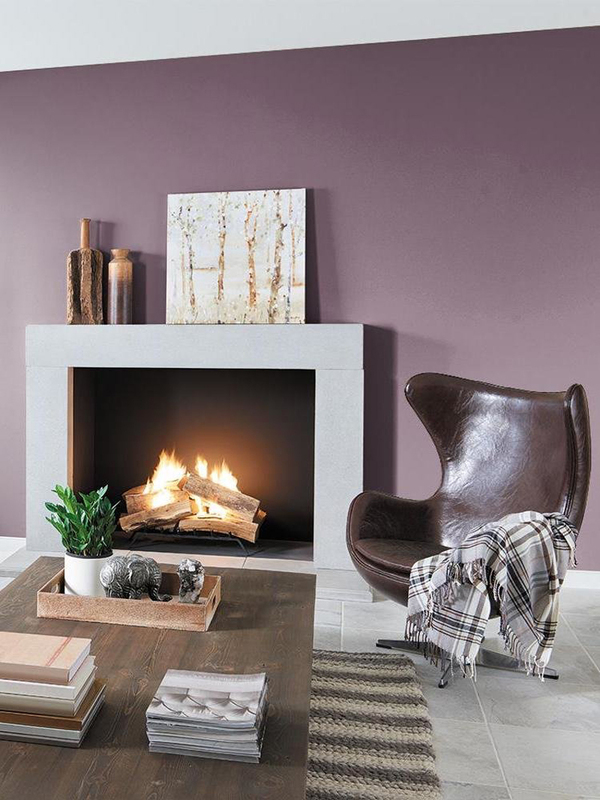 Striking a perfect balance between gray and purple, Benjamin Moore’s Luxe (AF-580) is complex without being overstimulating. Purple is known for its calming effects‚ and this particular shade is perfect for those quiet, cozy nights after a long week. 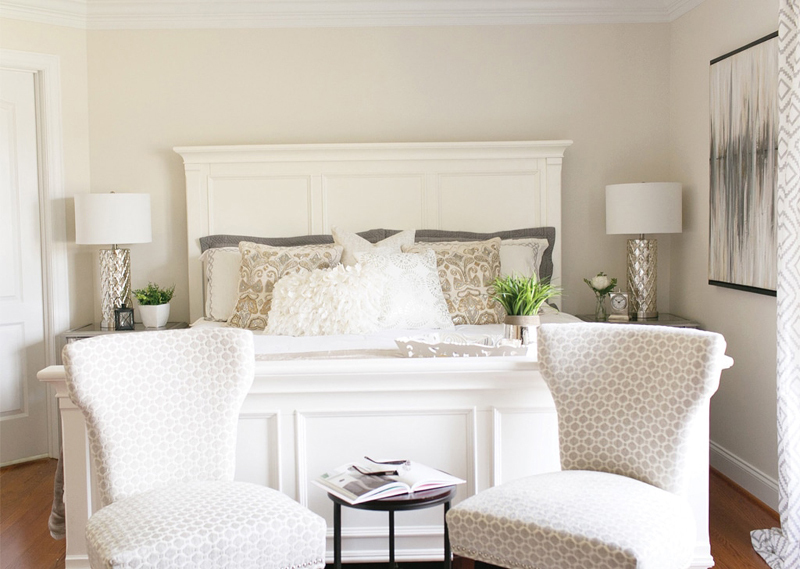 When done right, a creamy white can be just as cozy as a deep purple or a warm red tone. Pearly White by Sherwin- Williams (SW 7009) fits the bill. Timeless, chic, and welcoming, this shade is especially well suited to an open space with a lot of wall. 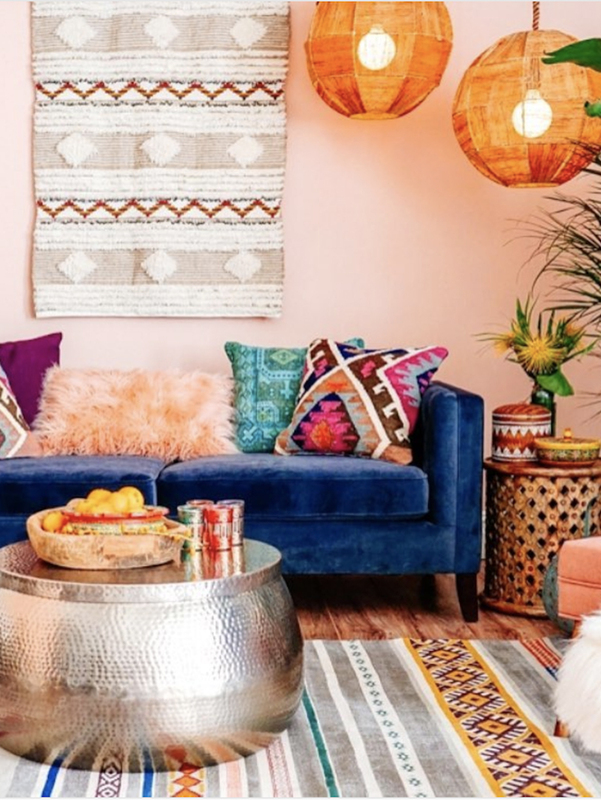 You might not think that a peachy pink would give off a cozy vibe, but Sherwin-Williams’s Naive Peach (SW 6631) is a relaxed, bohemian shade that invites you to kick off your shoes. It's cheerful, warm, and playful; you’d be hard-pressed to find a friendlier or sunnier color. Aptly named, In The Moment by Behr (T18-15) is a comfortable, familiar-looking sea green that encourages you to kick back and enjoy the peacefulness of home. Behr’s 2018 Color of the Year, this shade would be a fine choice anywhere in your home. 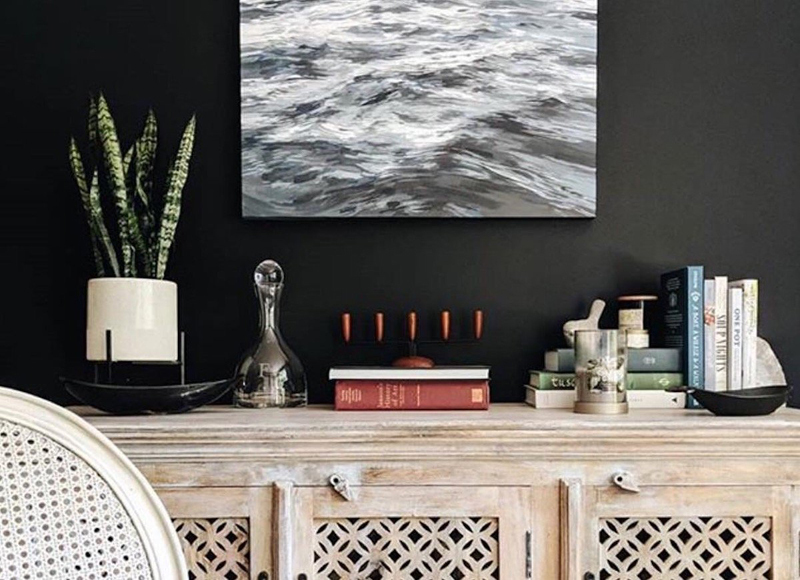 Just like a proper little black dress, Sherwin-Williams’s Tricorn Black (SW 6258) has the ability to be dressed up or dressed down, depending on your mood and style. It is as perfect for those days you’d rather not get out of bed as it is for elegant evenings with cocktails and friends. 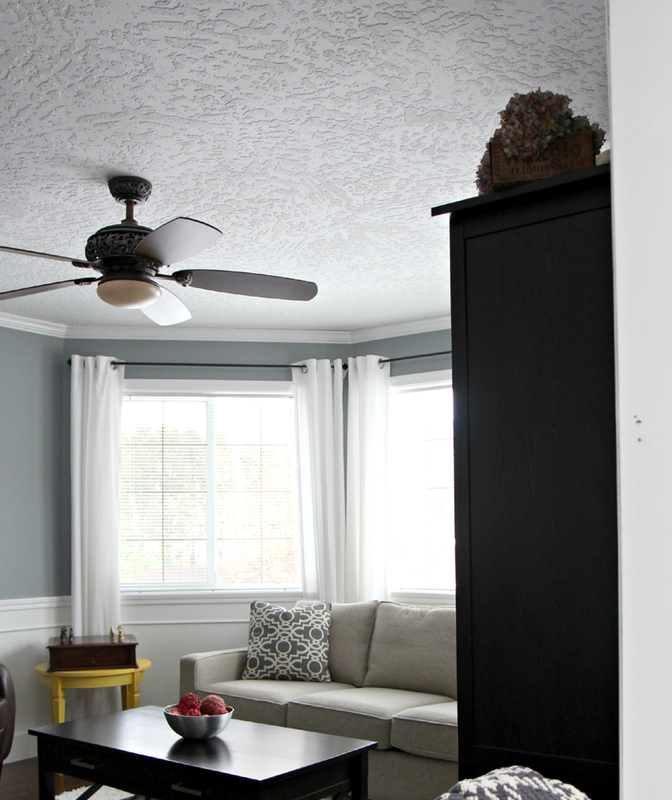 Reminiscent of a rainy day (minus all the moisture), Sherwin-Williams’s Network Gray (SW 7073) is moody without being dismal. This color is just the thing for making large, cavernous spaces feel more intimate.